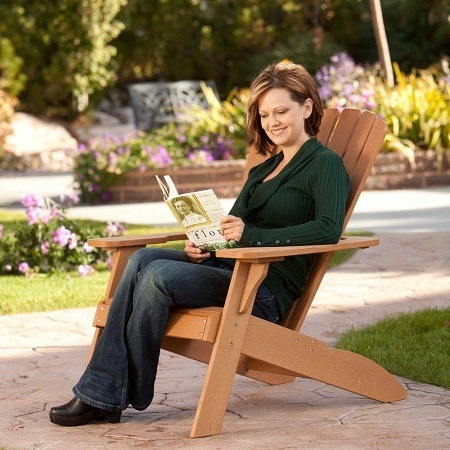 The Adirondack chair is a classic design that seems to have been taken right out of the book of Americana. In movies and television shows, when you see someone lounging on the beach or by a lake, they are almost always in one of these chairs. It’s no surprise because these chairs are usually built to last a lifetime and they add a certain quaintness that you just cannot get with other pieces of outdoor furniture. 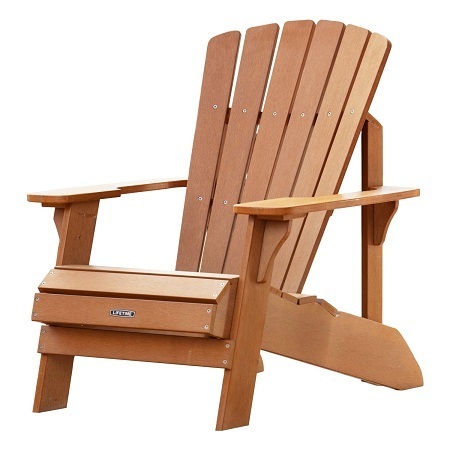 If you’re interested in purchasing an Adirondack chair but you want to be eco-friendly, then you’re in the right place. 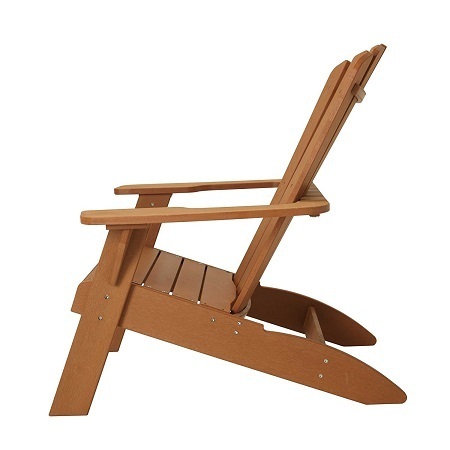 The Lifetime 60064 Adirondack chair isn’t made from wood, but from a UV-protected simulated wood. To find out more about this game-changing chair, keep reading! We will discuss the finer points and details about this chair, but we will also examine user testimonials to see how they feel about the chair. Then, when all is said and done, we will give you our recommendation on whether or not this chair is something you may want to consider purchasing. 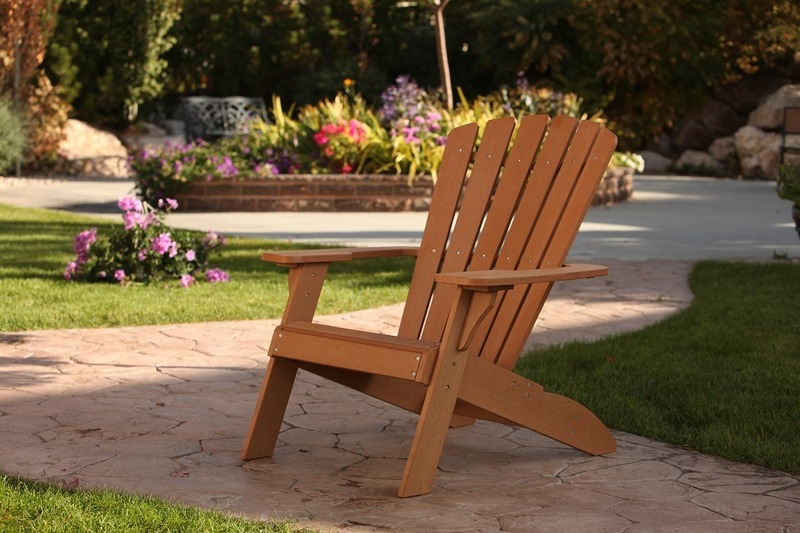 The Lifetime 60064 Adirondack Chair is made from a weather-resistant polystyrene material, which us UV-protected and is ideal for outdoor use. Unlike other outdoor furniture you may have that is made from wood, this is material will not warp, succumb to rotting, nor will it splinter. Also, you’ll find that although this chair doesn’t need any varnish or paint, it will keep it’s beautiful wood-like coloring for many years to come. Because the chair comes with stainless steel screws, you never have to worry about the screws rusting. Also, the chair has pre-drilled holes for those screws, which helps the screws fit in and makes it easier to put the chair together. In terms of assembly, it comes with comprehensive instructions, so all you have to do is pull it from the box and you can quickly have it set up and relaxing before you know it. While we could easily tell you this is a terrific chair and you should run out and get it, we wanted to give you opinions about the chair from people who have bought and use the chair on a regular basis. Upon reading the reviews, 86% of people have left 4 or 5-star reviews. Assembling the chair was easier than they anticipated. The pre-drilled holes makes assembling the chair much more streamlined and simplistic. The chairs are comfortable—much more than molded plastic chairs. They enjoy the fact that the color doesn’t fade or stain like wooden furniture would. Some people have said the chairs do stain when in contact with sweat or sunscreen. The polystyrene is not durable and feels very cheap. The holes on their chair did not line up properly. Two chairs have broken on one customer who weighs 220 pounds. It was difficult to put the chair together. The chair did not have the typical deep seat and wide armrests like a traditional Adirondack. When you are making a large purchase like a piece of furniture, you want to know that it is going to last for many years, especially if that chair costs just under $130 like the Lifetime 60064 Adirondack Chair. On paper, this chair seems like it would last forever, since it is made from a UV-Protected polystyrene material, carved in a way to simulate the look of real wood. This material is supposed to be to withstand all sorts of weather without showing any signs of cracking, chipping, or peeling. For the most part, this is correct. One customer has said that the material does stain when it came in contact with substances like sweat and sunblock. However, since this is the only recorded instance of that happening, we will have to say that is an extremely rare occurrence. The polystyrene material has been pre-drilled so you can put the chair together much easier than you may have anticipated. The stainless steel screws slide into the pre-drilled holes and when tightened, you never have to worry about the screws coming loose or rusting while out in the elements. 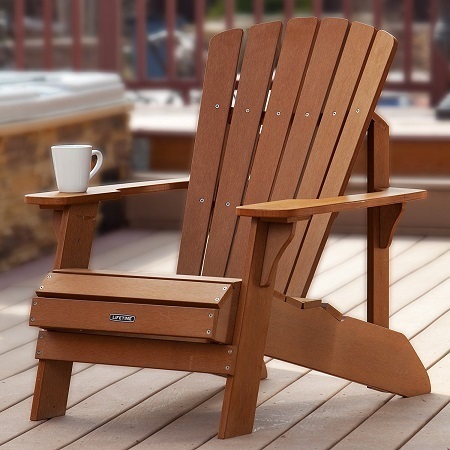 When it comes to whether you should purchase this product or not, we feel that the Lifetime 60064 Adirondack Chair is a very good option if you are looking for a piece of patio furniture that is going to be able to withstand all sorts of weather and general wear and tear. We do want you to keep in mind that some people have trouble putting their chairs together. Although, if you follow the directions and remain patient, we are certain that you won’t have too much difficulty. If you do have troubles, Amazon does have the option to assemble the chair for you through their professional assembly service. Of course, we want to note that this service will tack on an additional just under $115 onto the final price. 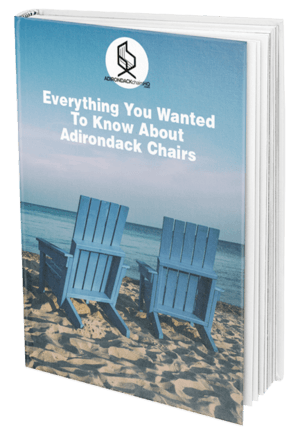 Whether you decide to assemble the chair yourself or have it done for you, we’re sure that you will be happy with this Adirondack chair, just like the other 86% of people who have reviewed the product!